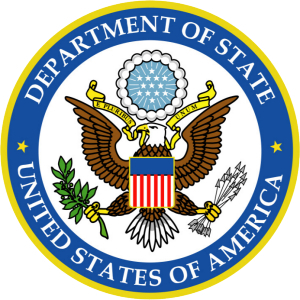 Ethiopia holds estimated 70,000-80,000 persons, including some 2,500 women and nearly 600 children incarcerated with their mothers, in severely overcrowded six federal and 120 regional prisons, the U.S. said in its voluminous 2013 Human Rights Reportreleased by Secretary of State John Kerry. “There also were many unofficial detention centers throughout the country, including in Dedessa, Bir Sheleko, Tolay, Hormat, Blate, Tatek, Jijiga, Holeta, and Senkele,” the report said. In the last year alone, two Oromo activists have died in prison under mysterious circumnances. Last year, OPride reported about the death in prison of former UNHCR recognized refugee, engineer Tesfahun Chemeda. Last month, a former parliamentary candidate from Chalenqo in Western Hararghe, Ahmed Nejash died in prison. According to an OPC source, Nejash successfully run and challenegd Sufian Ahmed, Ethiopia’s Minister of Finance and Development, during the 2010 elections. He was subsequently arrested in 2011 alleged of being an OLF activist. Although his death recieved scant media coverage even within the Oromo community, a close relative of the late Jarra Abba Gadaa, Nejash is one of the veterans of Oromo people’s struggle. “He was sentenced to seven years, which was also upheld by the higher court,” the OPC source told OPride. “He was in Zuway with Bekele and Olbana and he was healthy the last time I saw him in 2013.